Flavour 8.5/10 OVERALL. Note: BSN is known for having a pretty sweet flavouring system. Does it enhance thermogenesis? Yes. Namely, the Capsimax & caffeine are responsible for this. The general consensus here is that we all noticed an increase in body temperature roughly 30 minutes after taking it. Does it aid in mood enhancement? Yes. (a.k.a. make you feel less like sh*t on low carb days) HELL YEAH. L-tyrosine, L-theanine, Huperzine A (from toothed clubmoss) & the Longan Fruit extract. Does it contain a glucose disposal agent? No. We would have liked to have seen something that could help stabilise glucose & insulin levels, e.g. hydroxy-citric acid, Alpha lipoic acid or green coffee bean extract. Keep in mind that a short-term trial was executed on this product. However, all of us noticed an increase in body temperature roughly 30 minutes post ingestion. This hints that a thermogenic effect took place. WARNING! If you are performing cardio on this product…bring an extra towel because you WILL SWEAT from places you didn’t know you could sweat from. Trust us on this one... In regards to APPETITE - 70% off us who tried the product found a reduction the in desire to eat. One staff member who performs INTERMITTENT FASTING found that they were able to push their ‘eating window’ back by 2.5 hours any day that they took the product. This allowed them to decrease their total calories intake for those days. ENERGY: The energy that this product provides is phenomenal. You will find that it provides a moderate to high energy yield, without the jitters – We call this the “clean energy” feeling. What really stood out to us was the EUPHORIC FEELING that this fat burner produces. We ALL agree that doing cardio felt much easier than usual. BUT WHAT ABOUT THE POST WORKOUT FEELS? We all experienced a greater sense of elation compared to when it was not taken. “How long does the energy last?” We say 1-3 hours. Pre workout Crash? Nope! 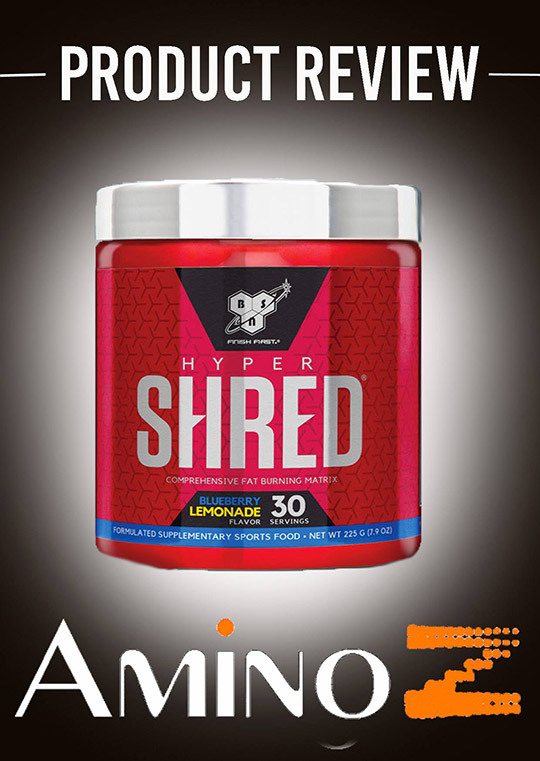 If you are in the market for a energy inducing, euphoria creating, delicious tasting fat burner, then head over http://www.aminoz.com.au/bsn-hyper-shred.html. This entry was posted in Supplement Reviews and tagged thermogenesis, BSN Hyper Shred, bsn, fat burner on February 16, 2018 by Amino Z. A post-workout supplement is one of the best ways to improve your performance while assisting in overall muscle recovery. Taking the right nutrients after demanding exercise helps to replenish muscle glycogen levels, increases protein synthesis and protects from the breakdown of muscle. After an intense workout, the body is exhausted and these post-workout supplements may help to invigorate the body as well as aid in the muscle building and recovery process. Let’s take a look at two of the best post-workout supplements from BSN (BSN Rebuild Edge and BSN Amino X Edge) to see which is superior to helping you achieve your fitness goals. Here’s where you can buy BSN Rebuild Edge. Rebuild Edge also features a solid line-up of 4 grams of BCAAs and 25 mg of ActiGin, which is Panax notoginseng. Overall, this is a perfect post-workout supplement to use on the way home from the gym. 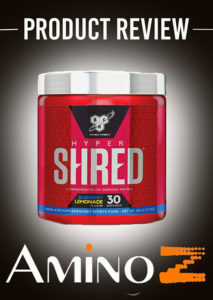 What negative thing can you really say about such a structured and open label post-workout supplement? Sure, we would have liked to have seen the BCAA dose at 8 or 9 grams but 5 grams is the industry standard. Aside from that, the only other things that may be problematic are the artificial sweeteners, which are nearly impossible to avoid in this industry. Here’s where you can buy BSN Amino X Edge. BSN Amino X Edge is hands down one of the best amino acid supplements that we have seen come across our site. Amino X Edge has the central aim of boosting your recovery in order to maximize performance. Plain and simple. Aside from that, you can a revolutionary line-up of nootropics and energy boosters including Caffeine Anhydrous, Longan Extract, and Lindera Extract. The only issue with Amino X Edge involves the timing of your post-workout nutrition. If you are a nighttime lifter, then you may have an issue with the nootropic and energy blend. For those who work out in the morning or afternoon, you’ll be fine. Both of them are equally great supplements and both work effectively to improve the body’s performance as well as assist in the recovery process. The deal breaker for us would be WHEN you work out. As we mentioned above, if you’re a night owl, it’s best to go with BSN Rebuild Edge because it doesn’t contain any stimulants or energy boosters. The best thing to do is both of them and see which one works better for you. This would be especially useful if you are someone who performs doubles, or exercises twice a day. This entry was posted in Articles, Food & Supplements and tagged bsn amino x edge, bsn rebuild edge, bsn, benefits of creatine, post-workout on April 20, 2017 by david. For the last decade, BSN has been considered one of the top supplement brands. Whether you need a protein, a pre-workout, or a post-workout supplement, BSN has you covered. Syntha 6 is one of the best-selling products from BSN, proving itself to be an elite brand of protein powder. Not long after the monumental success of Syntha 6, BSN released Syntha 6 Edge, claiming that while the original was still an incredible product, Syntha 6 Edge was the upgrade. Let’s take a look at both Syntha 6 and Syntha 6 Edge to see which one is truly worth the buy. Click here to buy BSN Syntha 6. If you’ve been taking supplements for a while, then you’re no stranger to BSN Syntha 6. It features a unique blend of protein including Whey Protein Concentrate, Whey Protein Isolate, Calcium Caseinate, Micellar Casein, Milk Protein Isolate, Egg Albumin, And Glutamine Peptides. Notice the three protein types that have been highlighted as that will come into play in the next section. Overall, Syntha 6 is your textbook example of a great protein blend to support a range of goals; however, due to the calorie and fat content and depending on what your goals are, Syntha 6 may not be your ideal option. At 150 calories per serving, Syntha 6 also provides 3.5 grams of fat. Now this isn’t a big deal if your goals are muscle building or bulking but if you are being extremely conscious of the calories you are ingesting, then these extra calories (when compared to an isolate, for example) may put you over your caloric limit. The only other issue that we see with Syntha 6 is the addition of artificial sweeteners but you’d be hard pressed to find a product that doesn’t have those. Click here to buy BSN Syntha 6 Edge. Glancing over the label for Edge, you can already see the improvements when compared to the original Syntha 6. It offers more protein per serving at 24 grams and you’re getting less fat and cholesterol. BSN also changed up the protein blend. Edge provides you with Whey Protein Concentrate, Whey Protein Isolate, Hydrolyzed Whey Protein, Calcium Caseinate, Micellar Casein, and Milk Protein Concentrate. The highlighted protein types are new additions in the blend. Depending on how you feel about specific protein types, you may argue that the formula for Edge is lacking. It removed Glutamine Peptides, Egg Albumin and Milk Protein Isolate (the protein types highlighted in the first section). We think it was a great decision to ditch the Glutamine Peptides and replacing Milk Protein Isolate with Hydrolyzed Whey Protein is definitely the better move. With that said, getting rid of Egg Albumin is a hit or miss move, especially when it’s been replaced by Milk Protein Concentrate. Egg Albumin is a much higher grade protein. Despite the change, this is still an excellent blend and one that is as worthy, if not more so, as its predecessor. Both of these protein types are above and beyond. We think the way to choose which one to buy lies in your fitness goals. If you don’t have caloric restrictions or if you are striving for a caloric surplus, definitely choose the original Syntha 6. If you want something closer to that of an isolate, then go with Syntha 6 Edge. You can also purchase both, using Syntha 6 as breakfast or before a workout and then use Syntha 6 Edge post-workout. Regardless of the few changes that BSN has made, you still have two fantastic protein powders on your hands. This entry was posted in Uncategorized and tagged bsn syntha 6 edge, bsn, BSN Syntha 6, BSN Syntha-6 Review on February 27, 2017 by david.